Ronkonkoma, NY—Sigma Corporation of America launched the Sigma Lens Workshops initiative last month. The program is held in collaboration with Sigma dealers around the country. It engages photographers looking to learn new techniques and refine their photography skills through a series of classroom lectures and hands-on workshops. Photographers of all skill levels, from novice to professional, are welcome to join. The workshops are led by Sigma technical representatives and photography experts. Each session hones in on a specific genre of photography, such as portraiture, landscape and astrophotography. Normally a two-day workshop event, the first day focuses on theory and educational best practices. These include lighting, gear setup, camera settings and lens focal length and more. On day two, attendees put their newly acquired knowledge to the test with hands-on, real-world photo shoots and photo walks. “The Sigma Lens Workshops provide a valuable education vehicle for the local photography community. Lenses are an investment. These workshops aim at making sure you are getting the most out of your Sigma lens investment. The workshops also give you a chance to learn about specific genres of photography. And hone your skills while practicing during real-world photo shoots,” said Mark Amir-Hamzeh, president, Sigma Corporation of America. 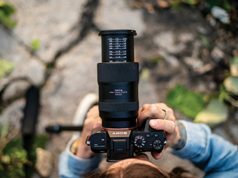 Rahul Tuteja, founder of Pixel Connection in Avon, Ohio, and host of a recent Sigma Lens Workshop, welcomed the initiative. “More than just offering our customers the best gear for their photography needs, we strive to engage with them in a non-sales environment to bring them education, inspiration and opportunities to practice their skills,” explained Tuteja. The first workshops were held in June. Among them was the Portrait Workshops at Bedford Camera & Video. Sigma technical representative Brian Linhoff led two-day workshops on how to shoot portraits at Bedford Camera & Video June 20–21, 2018 in Tulsa, Oklahoma, and June 22–23, 2018 in Oklahoma City, Oklahoma. The first day of the Tulsa workshop covered basics of portrait photography. This included various lighting setups for indoor and outdoor shooting. It also covered how to work with a subject on posing and the best lenses for portrait photography. 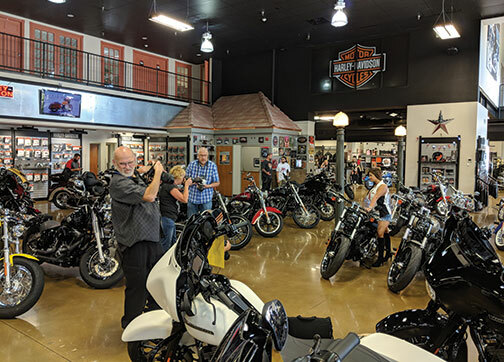 During the second day, attendees participated in a Harley Davidson photo shoot with guidance from Linhoff and the Bedford Camera & Video staff. Participants practice what they’d learned as they photographed models and motorcycles. Lighting equipment was provided and Sigma’s latest lenses were be on hand to test-drive during the shoot. In addition, on June 22, Linhoff and the Bedford Camera & Video staff hosted a Myriad Botanical Gardens photo walk in Oklahoma City. Again, Sigma lenses were available on loan to capture the flora. During the second day, Linhoff covered the basics of portrait photography. Attendees each received a professional print of their favorite image from the photo walk the day before, courtesy of Bedford Camera & Video.